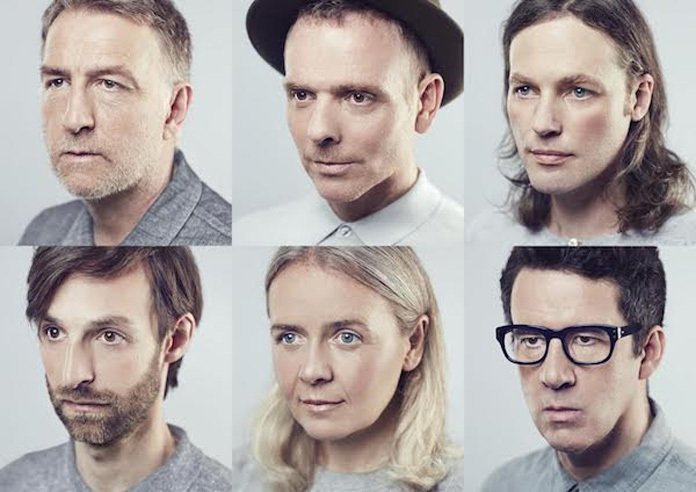 Belle and Sebastian are releasing three interconnected EPs, all titled How to Solve Your Human Problems. How to Solve Your Human Problems Part 1 came out back on December 8, Part 2 is due out January 19, and Part 3 is due out February 16. Then all three EPs will be collected in a vinyl box set and CD compilation, both due out February 17. Previously the band shared Part 1's "We Are Beautiful" (as well as a video for the song) and Part 2's "I'll Be Your Pilot" (as well as a video for "I'll Be Your Pilot"). Now they have shared another track from Part 2, "The Same Star." It features the vocals of Sarah Martin, who also wrote the song. Listen below, followed by the video for "I'll Be Your Pilot" (which was originally a TIDAL exclusive) and the band's upcoming tour dates. In 2016 the band announced that they were working on new music that they planned to release as a series of vinyl EPs and frontman Stuart Murdoch posted a casting call looking for models to appear on the covers of the EPs. They weren't necessarily looking for professional models, but rather regular people who are fans of the band. The cover art for each EP is culled from this project. Fifty fans were selected to be photographed in a London photo studio and were also recorded answering the following question: "How do you solve your human problems?" Murdoch said in a previous press release that the band's relationship with their fans is "very comfortable" and he feels a responsibility to their fans: "I do feel it's not just about the music anymore, and it shouldn't be. You have this platform to spread good vibrations. Life is short! What are we doing here? Are we becoming better people?" The band's last album was 2015's Girls in Peacetime Want to Dance.